Our Hadoop survey revealed that the majority of Hadoop applications process small amounts of data. But what about the frequency of data processing? 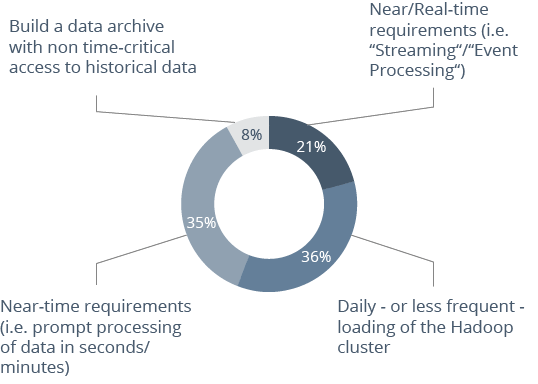 A closer look at data currency reveals high responses for streaming (21 percent) or near-time usage (35 percent), especially in combination with customer intelligence applications. This shows that Hadoop and MapReduce are no longer limited to batch applications and are increasingly being used to address high demands on data currency.